Ardan International, the Isle of Man-based international platform, has named Andy Tinnion head of business development. Tinnion, pictured, a native of the Isle of Man, will be based in Ardan’s IoM offices, and will “focus on growing the company’s profile and identity”, the company said in a statement. It said the position is a newly-created one, as the company plans for its continued expansion. Tinnion joins Ardan from Friends Provident International, where he managed discretionary client accounts for seven years, and then held the position of regional sales development manager (Middle East) for eight years. Ardan chief executive Richard Preston said Tinnion’s Isle of Man roots would be helpful in building relationships with key local advisory businesses, trust providers and other financial services companies, while his experience with FPI would provide useful insights “into the needs of advisers in many of our target jurisdictions”. 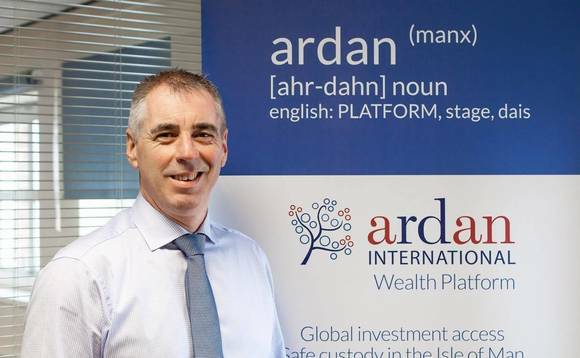 As reported, Ardan International evolved out of the shell of an earlier Isle of Man-based, intermediary-focused platform known as Acordias, launched in 2013. It was acquired by UK wealth manager and stockbroker Rowan Dartington in 2014, and then reborn, under Preston’s guidance, as Ardan (which means “platform” in the Manx language). Preston, who was already a director, was named CEO in February, 2015. According to Preston, more than 40 advisory firms and several hundred advisers around the world are now making use of Ardan’s facilities, which include research services, a wealth platform, third-party DFM facilities, as well as dealing, settlement, custody, reporting and client administration services, working from a range of more than 70,000 funds and securities.